The oil giant Shell has lost its appeal against a ruling that it is not the rightful owner of land where it runs Nigeria's biggest oil export terminal. Three years ago, a lower court said the oil firm should pay rent to the local community for Bonny Terminal, but Shell says it bought the land outright. Shell says it will appeal to the Supreme Court against the judgement. 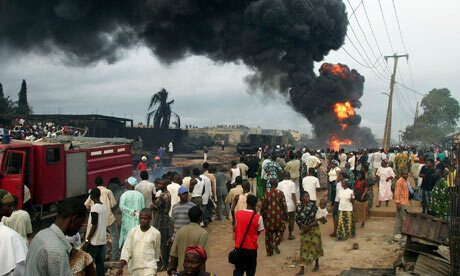 Few residents of the Niger Delta, home to Nigeria's oil industry, have benefited from the area's oil wealth. "Justice Ekembi Eko upheld that [original] judgement and said that Shell failed to convince the court that they have the certificate of occupancy on the land," Reuters news agency quotes Emmanuel Asido, one of the lawyers representing the community elders, as saying. Shell spokesman Precious Okolobo said: "We believe the judgement is wrong." The Niger Delta has few major roads and many villages lack electricity and clean water. Communities have repeatedly claimed that international oil firms fail to respect their rights and contaminate their land with oil spills, though the companies dispute this. Nigeria is Africa's biggest oil producer, but attacks by militants on oil installations led to a sharp fall in output during the last decade. Last year, a government amnesty led thousands of fighters to lay down their weapons. To win at the first round, a candidate not only needs the majority of votes cast, but at least 25% of the vote in two-thirds of Nigeria's 36 states. Goodluck Jonathan, of the PDP, reached that threshold in 31 states; runner-up Muhammadu Buhari of the CPC only did so in 16 states.